How to ban or blacklist someone, or IP addresses of annoying spammers comments in wordpress blog. I have experience of receiving spammers in my comments box which have difference backgrounds, and it gets worse if you have more visitors. I am sure you probably encounter this problem too, and if you are new starting a blog with wordpress, you might miss an important comment settings in your admin dashboard. The first and must-do is activating your akismet plugin which is already in your blog with wordpress installation package, you just need to get api key, and enable the activation. After getting Akismet ready to detect the spammers, (it is usually permanent, once Akismet flags the spammer’s comment, it will detect this comment next time again), you can actually put their IP address on your comment blacklist of discussion settings too. 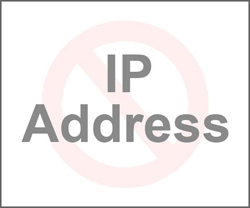 See more here about putting an IP address on blacklist or ban in comment or discussion settings, and top 5 steps to prevent spams comments. Bottom line, I personally refuse to use any plugins if our methods above work, but if you need a plugin you can try wp ban plugin.